Dill is a large annual or biennial herb with ferny foliage that is topped with sprays of yellow flower in summer. The strongly flavoured leaves can be chopped into soups, salads or used to flavour rice. Seeds are often used as ingredient in curry powder. This statuesque plant is ideally suited to growing in the middle of a border, its leaves providing a feathery foil for other plants. Do not allow soil or compost to dry out. Water plants regularly, especially during hot, dry summers, but do not over water. Support plants with garden canes or twiggy sticks to prevent them toppling over in a gust of wind. 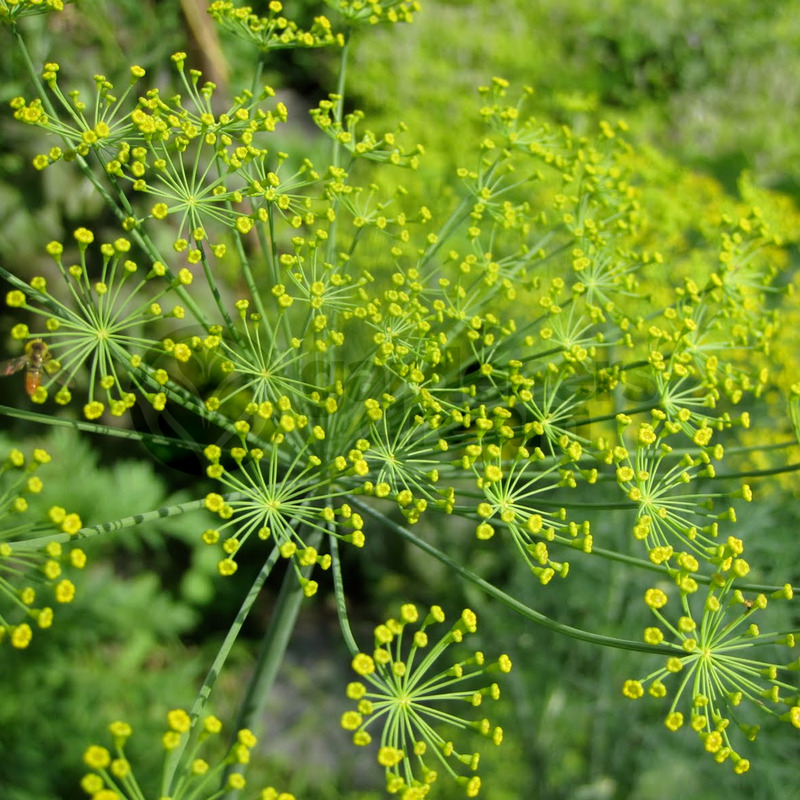 Avoid growing dill near fennel, as the two can cross breed resulting in undesirable seedlings with poor flavour. Hoe around plants to prevent weeds from competing or smothering the growth of dill.